Cara Zogorski joined the IHC team in March 2017 as the Practice Manager for the newly-opened Owen County clinic, located in Spencer, Indiana. Cara earned her Bachelor of Arts Degree from Indiana University and a Master’s of Science Degree from the University of Cincinnati. She has experience working in program development and management, with over twenty years of management and supervisory experience. In her prior positions, Cara has been effective in developing collaborative relationships with funders and with community agencies, where she worked tirelessly to insure that individuals’ needs were being met. Her passion to help others in need has led her to a variety of positions over the years where she has worked to insure underserved populations have access to the resources and support they need. 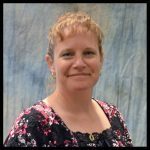 Given her passion and focus to help the underserved in communities in southern Indiana, it is not surprising that this passion has now led her to her new position managing an FQHC in Owen County. Rachel Goss, MSN FNP-C completed her training at Indiana State University Graduate School of Nursing and is licensed in the state of Indiana as an Advanced Practice Nurse. Rachel is board certified as a Family Nurse Practitioner through the American Nurses Credentialing Center (ANCC). She completed her Bachelor of Science in Nursing at Purdue University in West Lafayette, Indiana. Rachel is certified in Basic Life Support (BLS), Pediatric Advanced Life Support (PALS), and Advanced Cardiovascular Life Support (ACLS). Dr. John B. Savage completed his family medicine residency training and at Indiana University Health Ball Memorial Hospital in Muncie, Indiana. Dr. Savage is board certified in Family Medicine and a member of the American Board of Family Medicine (ABFM). Dr. Savage also attended the Georgia Intstitute of Technology where he earned a masters level education, M.S.E.E, and a bachelors level education, B.E.E., with the highest honors and distinction in Electrical Engineering. Dr. Savage is an experienced family physician and is certified in Basic Life Support (BLS), Advanced Cardiopulmonary Life Support (ACLS), and Cardiopulmonary Resuscitation (CPR). Dr. Mary Jo Stine, MD, MPH completed her internship and pediatric residency training at Methodist Hospital in Indianapolis, Indiana. She also completed her fellowship in Neonatology at Methodist Hospital. Dr. Stine is board certified in Pediatrics and a fellow of the American Academy of Pediatrics (AAP) and a diplomat of the American Board of Pediatrics (ABP). Dr. Stine is a graduate of Indiana University School of Medicine, M.D. and holds a Master’s degree in Public Health (MPH) from Indiana University in Indianapolis, Indiana. She is certified in Pediatric Advanced Life Support (PALS). Dr. Stine is an experienced pediatrician who has spent her career caring for minority and low-income populations in hospital and clinical settings.